It's not like Gene hasn't helped us. And we didn't mind helping him because he's about as respectful and humble a guy as you'll come across. 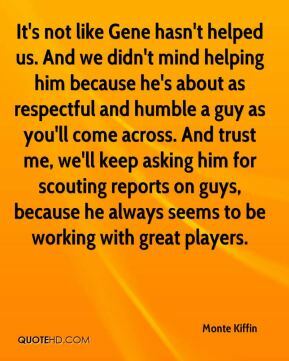 And trust me, we'll keep asking him for scouting reports on guys, because he always seems to be working with great players. We never mentioned the ranking all year long. Sixteen weeks, I never even tell the defense. 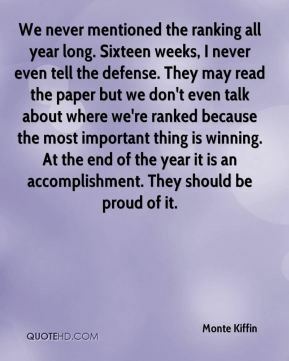 They may read the paper but we don't even talk about where we're ranked because the most important thing is winning. At the end of the year it is an accomplishment. They should be proud of it. 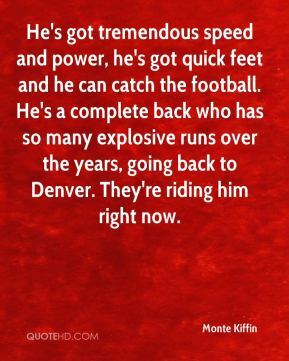 He's a good young quarterback who can make a lot of things happen. 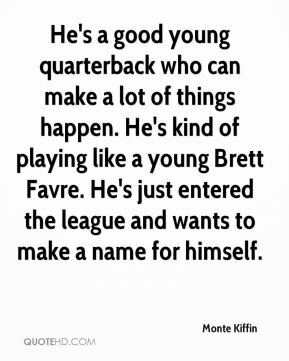 He's kind of playing like a young Brett Favre. He's just entered the league and wants to make a name for himself. 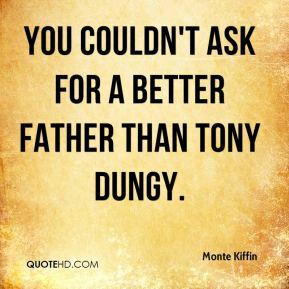 You couldn't ask for a better father than Tony Dungy. Tony's got tremendous faith. That's what will carry Tony through. He's unbelievable. 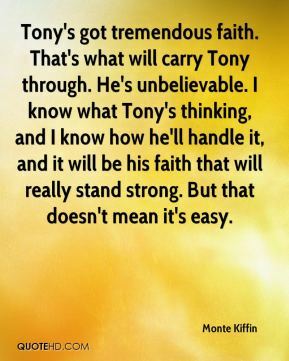 I know what Tony's thinking, and I know how he'll handle it, and it will be his faith that will really stand strong. But that doesn't mean it's easy.